Do you ever wonder about how a plant goes from seed to whole plant? The flip answer is ‘it grows’. But how? How is a plant organized to generate shoots, leaves, roots, flowers, etc.? A scientist that studied that question passed away recently. His name: Ian Sussex. One of his former postdocs and a great plant scientist and teacher, Mary Williams, wrote a great tribute on her blog here. This week in the Quiet Branches, I’m going to explore some of his work in tracking cell lineages within plant chimeras and other natural mutants. An example of variegation and tracking cell fate. It’s easy to take for granted that plants grow and are simply present in our lives. They go from tiny seeds to what can be gigantic adult organisms. 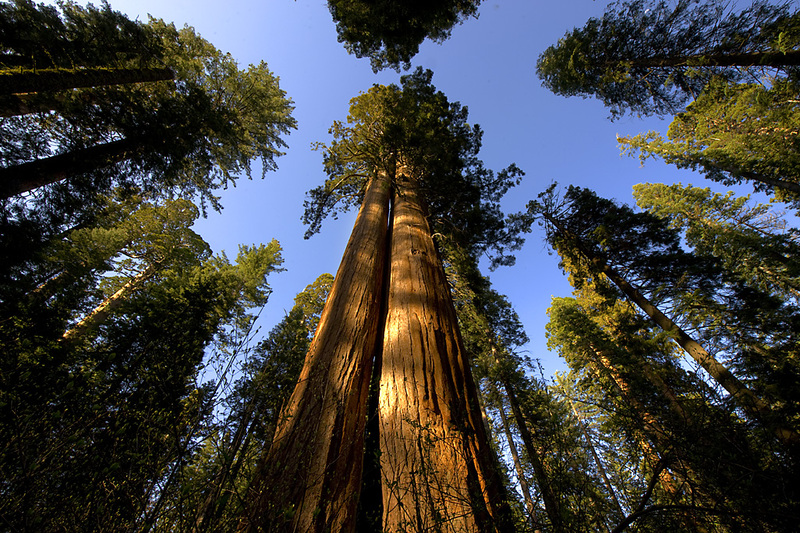 Perhaps the most extreme example is the Giant Sequoia. From a tiny seed, it grows into an up to 300 foot tall tree over centuries. The growth is iterative and seasonal. In the case of trees, it’s why we can track their age and history by counting rings in the trunk. Giant Sequoias. Credit: Calaveras Big Trees State Park © 2010, California State Parks. The branched structure of trees is not only a good metaphor for how life evolves, but represents how pant life is fundamentally different from animals, from us. They generate new organs, branch after a seed has germinated. All of the adult organs are generated post-germination. For most animals, they hatch or are born with a full compliment of features that are malleable and can change in scale over time. But basically our form when we’re born is a template for our entire lives. Plants can adapt their growth direction, branch patterns and growth rate depending on environmental conditions. All of this post-seed/post-embryonic growth is due to the maintenance of a small population of stem cells in regions called meristems. If you talk about a just-germinated seed, there is a root apical meristem and a shoot apical meristem. These organs generate the root system and shoot system of the plants respectively, supplying the cells needed to drive growth. Ian Sussex did a lot of work on the shoot apical meristem and just how it leads to stems, leaves, and flowers. As cells divide in the meristem, they move away from being undifferentiated stem cells and begin to differentiate and divide more to become the different layers of organs like leaves. A key insight Sussex’s work helped support was that the present position of a plant cell was what mattered for its ultimate fate. 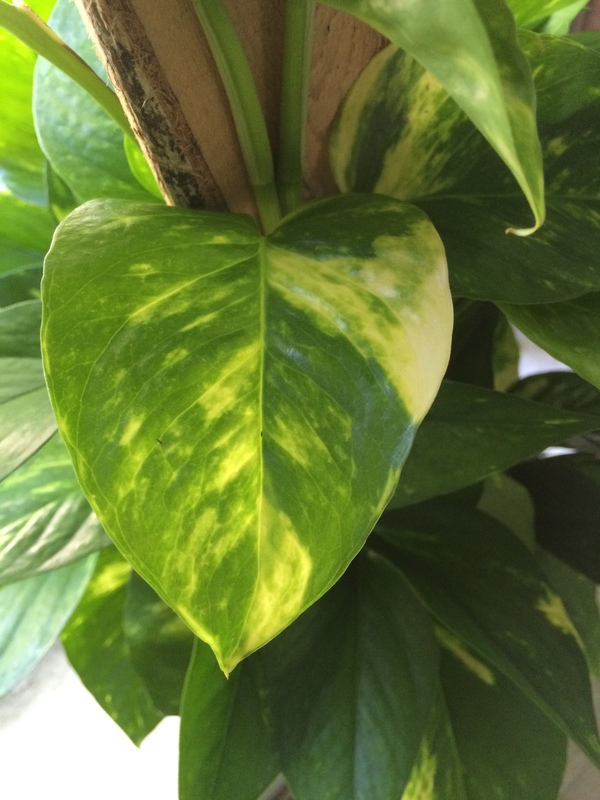 If you’ve ever seen a variegated plant like the one above in the first image, it’s possible to track where that white or yellow sector started in the leaf. Just following the widest part back to where it narrows closer to the middle and base of the leaf. The white sectors are due to a spontaneous mutation causing a loss of chlorophyll or chloroplast differentiation. By looking at lots of such mutations as well as dissecting meristems themselves, Sussex, those in his lab, and colleagues figured out a model of how plants produce all the layers of leaves. How a cell divides and differentiates is determined by its response to its current position and not by its past lineage. Mosaics have also been used to demonstrate that groups of cells, often from separate lineages, coordinate their activities throughout development. This implies that cells transmit and receive signals, but the mechanisms by which cells determine and respond to position and how they coordinate development with neighboring cells is not well understood. Genetic mosaics provide a unique tool for investigating these questions. An image of a meristem is below and you can see there are several layers, one on the surface, one below that, and then a layer of cells below that. These are the L1, L2, and L3 cell layers. L1 gives rise to the surface layer of a leaf while L2 and L3 layers end up becoming the tissues of the inner leaf where photosynthesis takes place. Sometimes, cells end up in different layers through cell divisions, and they then adopt a new fate of the layer they end up in. Further, remember that this is a 3-D structure, and the image is a section of the meristem. 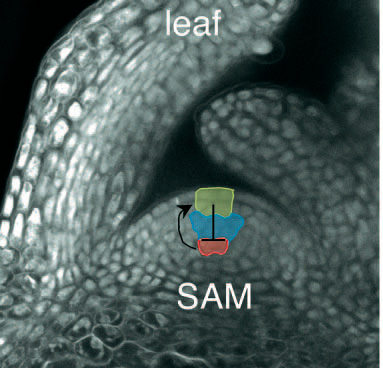 Note the cell layers in the region labeled SAM. Red, blue and green sections represent genetically and developmentally defined cell types. A leaf From reference 2. This is why some parts of white sectors end up green. A normal cell, that doesn’t have the mutation, say from the L1 layer, can end up in the L2 layer and adopts an L2 fate, but it produces normal chloroplasts and so it’s an island of green around the clonal white sea. Plant development is a complex process involving both internal signals (e.g. hormones, gene expression) and environmental conditions (e.g. pathogen attack, hot/cold, humidity). Sussex was a great contributor to our understanding of how plants work. I remember learning about mosaics and chimeras (either variegated or grafted plants of two species) in grad school and being fascinated by the idea that you could track the cellular contributions of each type of cell to a final leaf/flower. Next time you see a plant, just think that the entire thing was generated from a tiny group of cells and just how remarkable that is. 1. Szymkowiak EJ and Sussex IM. 1996. What chimeras can tell us about plant development. Annu. Rev. Plant Physiol. Plant Mol. Biol. 47:351-76.